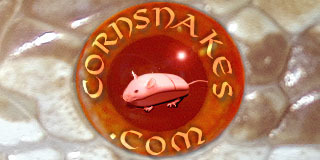 CornSnakes.com Forums - some of my Corn Snakes!! some of my Corn Snakes!! can any one I.D this one????? thanks! one of my big female snow corns! My huge male Jungle Corn! male albino jungle corn breeding with my albino corn! My two reg corns breeding! just a few of my corns also have a butter corn and another albino male jungle corn! will post more pic's later!! The first one looks like an anery Motely. Wow great collection, that snow is HUGE!!!! Is she breeding? Got to update us with the albino and the jungle. Great looking snakes! I love the amel stripe. Good luck. Ohh check your Private Messages, I sent you one.